Baltimora were an Italian new wave / italodisco act active in the 80’s. It comprised of Northern Irish frontman Jimmy McShane (lead vocals), Maurizio Bassi (keyboards, backing vocals), Giorgio Cocilovo (lead guitar), Claudio Bazzari (rhythm guitar), Pier Michelatti (bass guitar) and Gabriele Melotti (drums) – though Baltimora has been commonly used as Jimmy McShane’s stage name and Baltimora was considered a singer. Some sources even state that lead vocals were actually performed by Maurizio Bassi including lead vocals on the biggest hit “Tarzan Boy”. Music and the lyrics of Baltimora were written mostly by Bassi and Naimy Hackett. Jimmy McShane wrote the lyrics to some of their songs. In 1984, Maurizio Bassi, an Italian music producer and musician, was looking for a new art project. Jimmy McShane proposed the project and recorded some voices in order to be the visual leader of the group. 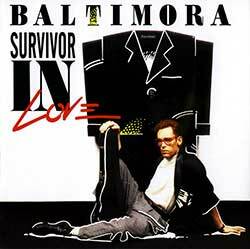 Bassi also recruited other musicians to record songs that would eventually appear on Baltimora albums: Living in the Background and Survivor in Love. 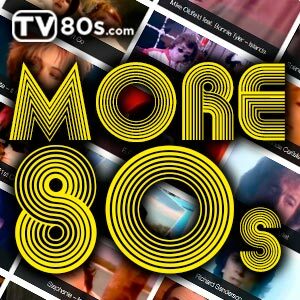 “Tarzan Boy”, single released in the summer of 1985, was a big hit, peaking at No.6 in Italy and entering the top 5 in many European countries incl. Germany, Switzerland, Austria, Sweden, France, the Netherlands, and Norway. 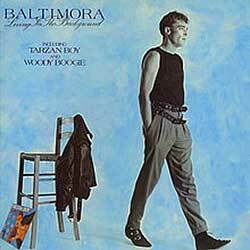 In August 1985 Baltimora found huge success in the United Kingdom as well where “Tarzan Boy” reached No.3. The “Tarzan Boy” single was released in Canada and peaked on the Canadian charts at No.5 by the end of the year. When it eventually entered the Hot 100 single chart in the United States, it remained on the Billboard Hot 100 U.S. chart for six months, peaking at No.13 in the spring of 1986. The second single, “Woody Boogie”, also gained notable success and entered the top-20 in Germany, Switzerland and Sweden. Baltimora’s first album, “Living in the Background”, was released in Europe at the end of 1985, and in United States in 1986. 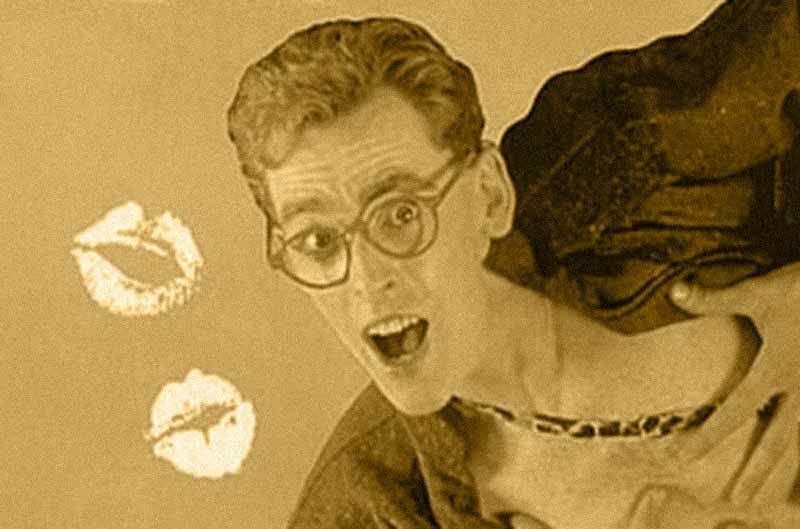 Despite the enormous success that Baltimora achieved with the single “Tarzan Boy”, Living in the Background was not that successful and entered the Top-20 album charts in only a few countries in Europe and reached No.49 in United States. In 1986 Baltimora released single “Juke Box Boy” that was peaking as No. 12 in Italy. This song was included on Canadian edition of Living in the Background.